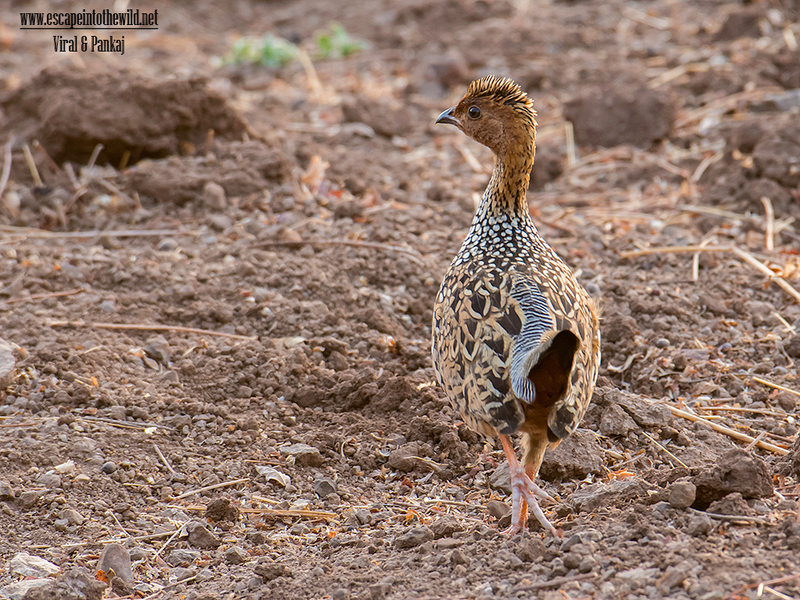 While coming back from Shoolpaneshwar Wildlife Sanctuary we saw a little francolin cross the road. It look little different than our Grey Francolin. We stop and search for that bird. It was foraging in road side farm. It was very shy bird. When it notice our presence, disappear quickly.